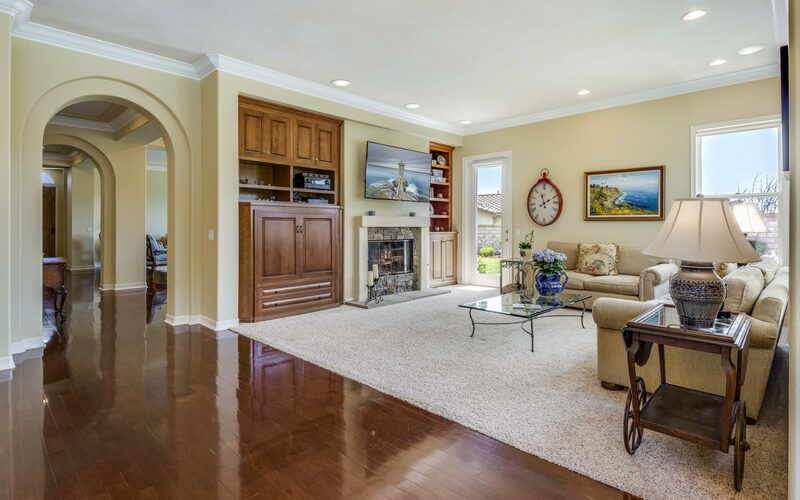 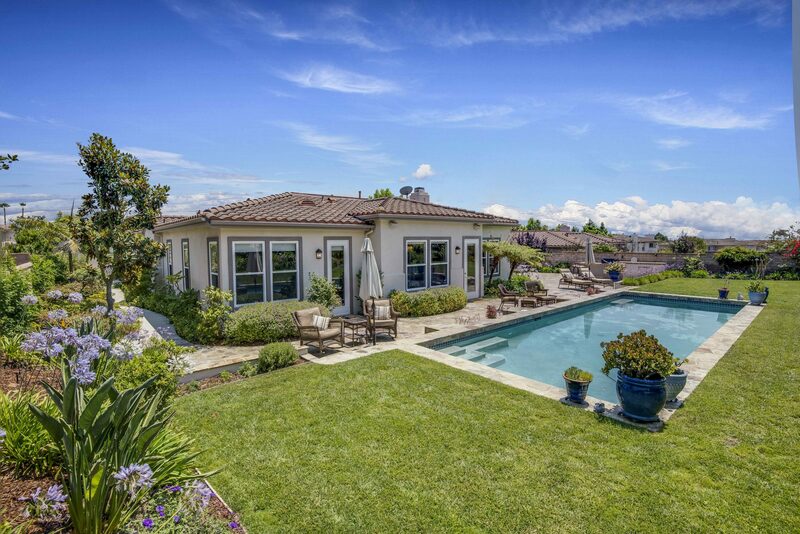 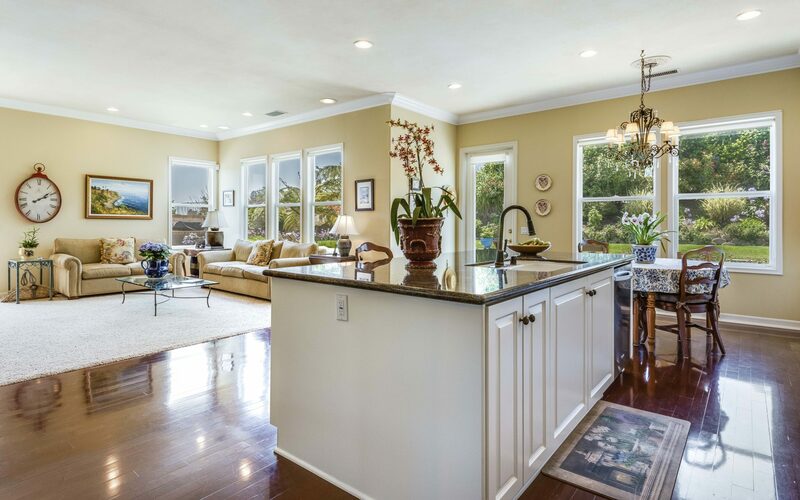 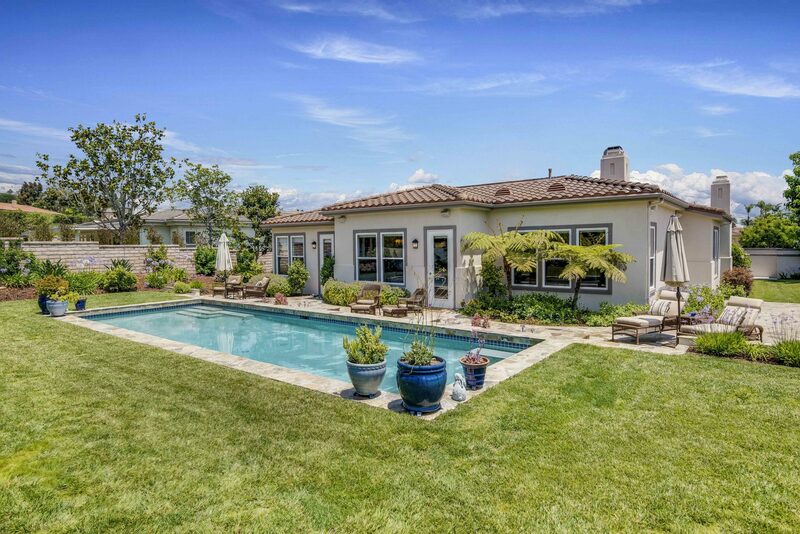 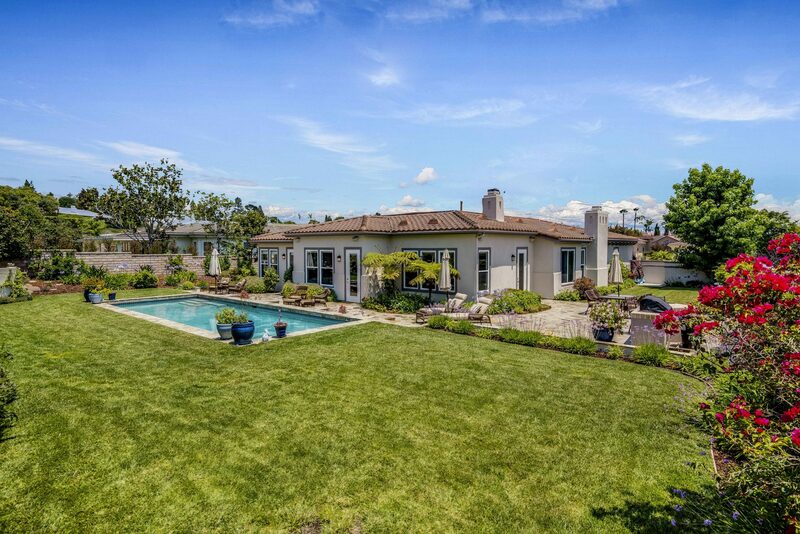 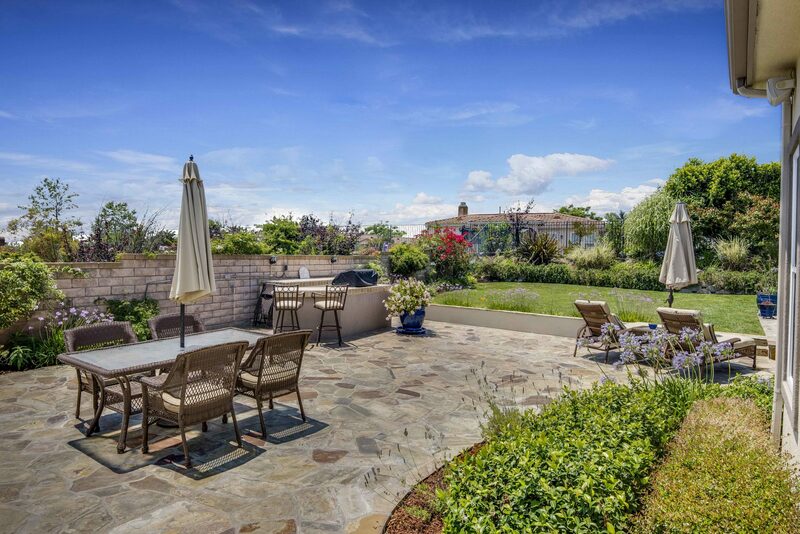 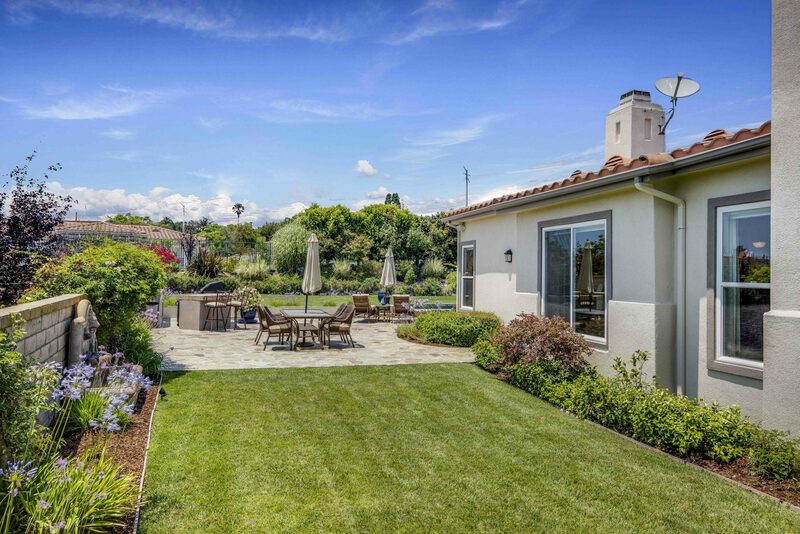 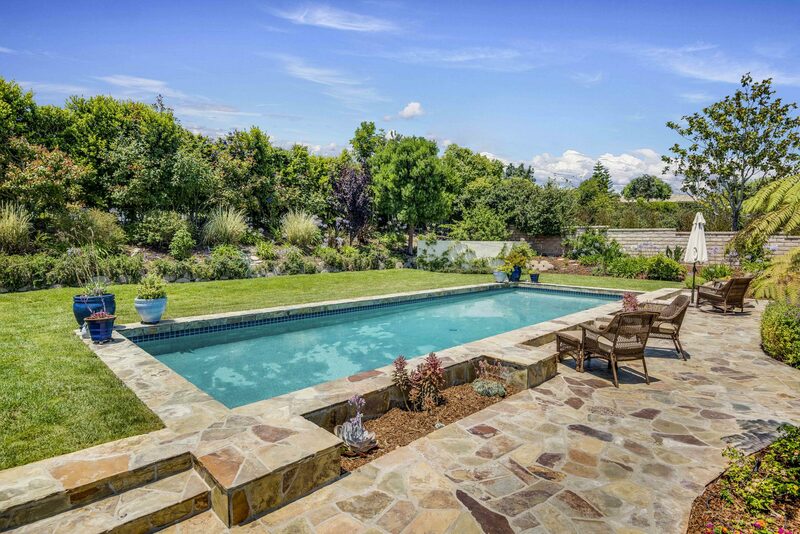 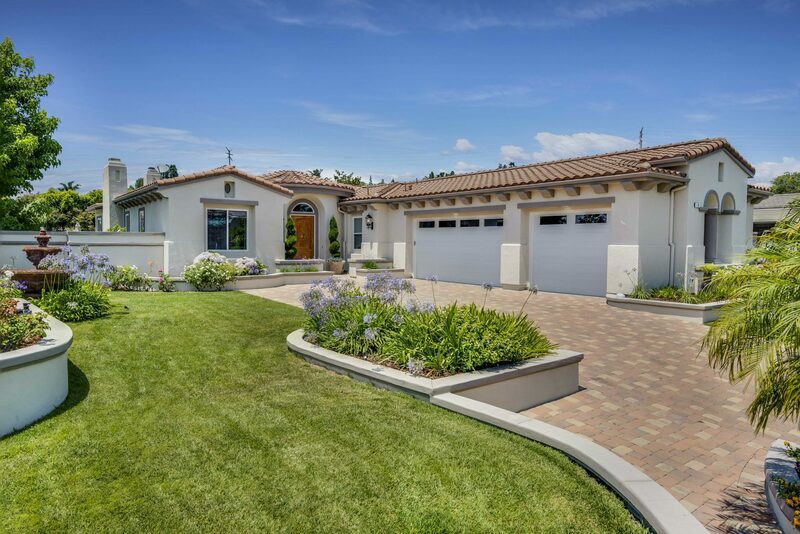 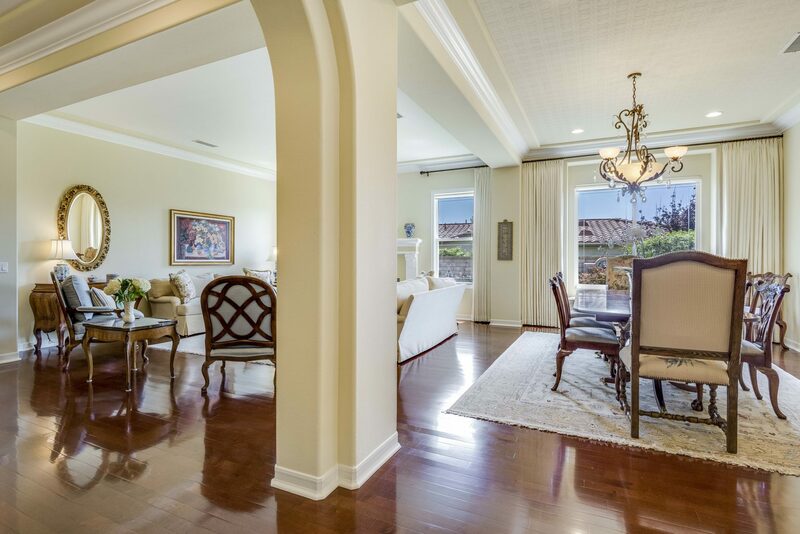 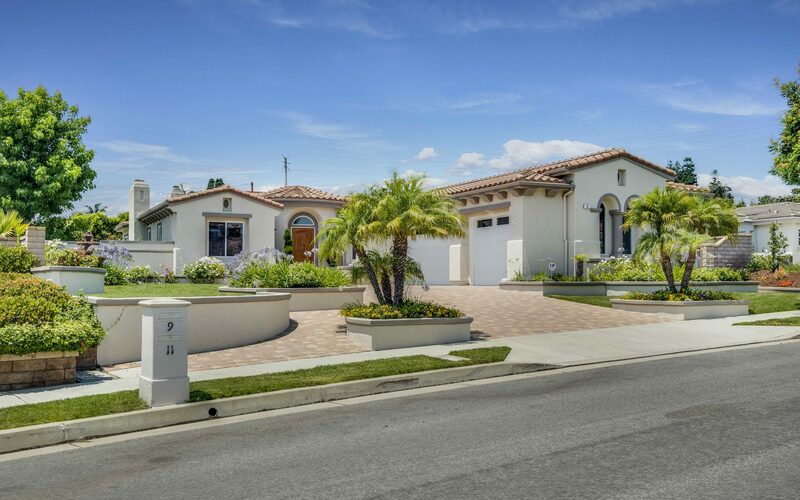 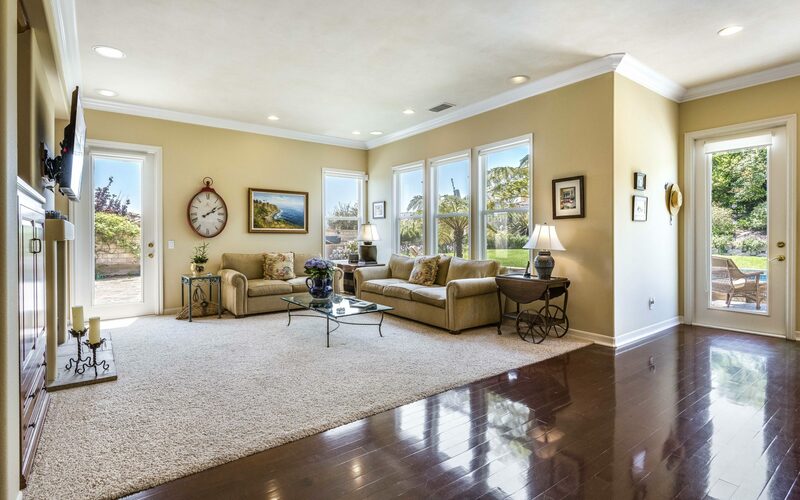 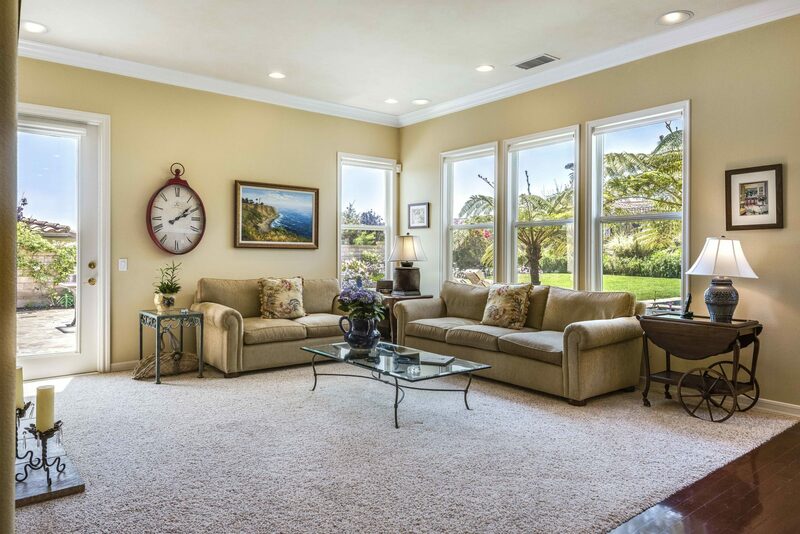 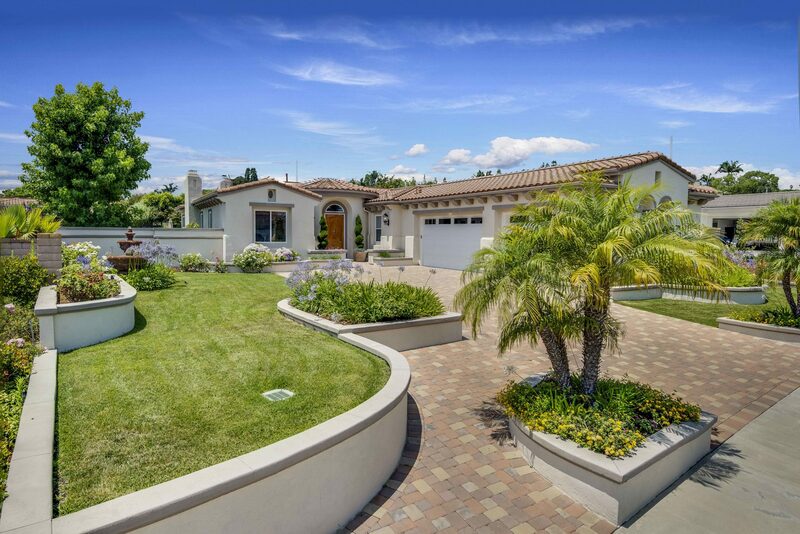 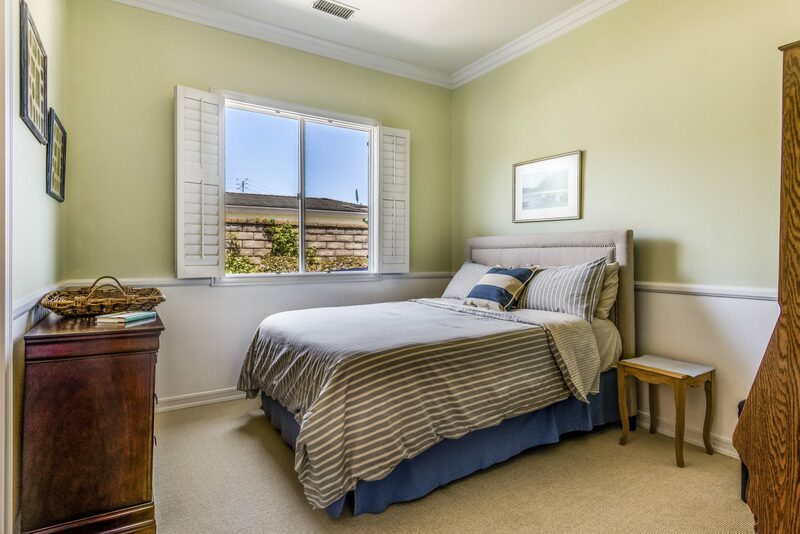 Fabulous one level graceful home at the Crest of the Palos Verdes Peninsula. 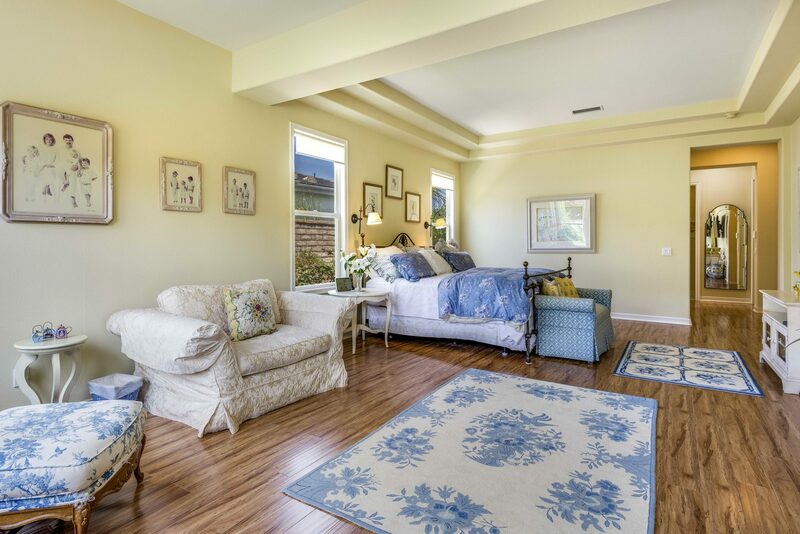 With approximately 3,660 square feet of living space on a very large and flat 17,079 square foot lot, you’d expect this property to feel grandiose—and while it does make an impression, it also welcomes you with warm hospitality. 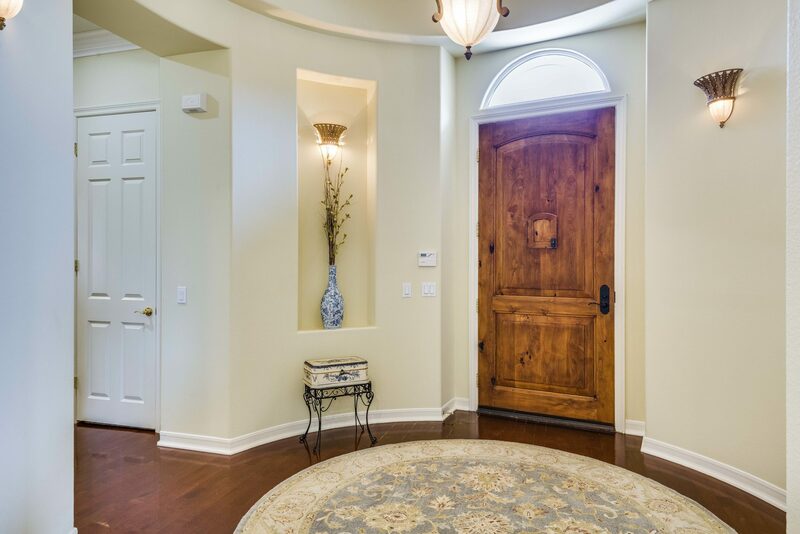 Begin with the entry way and then into the living room. 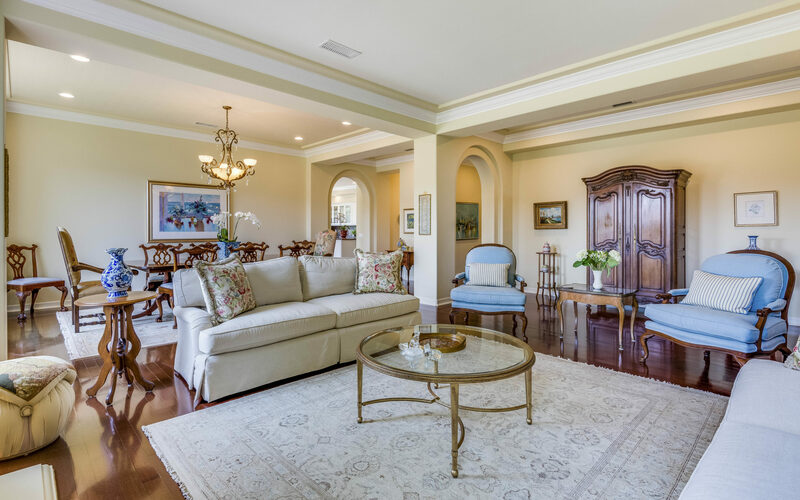 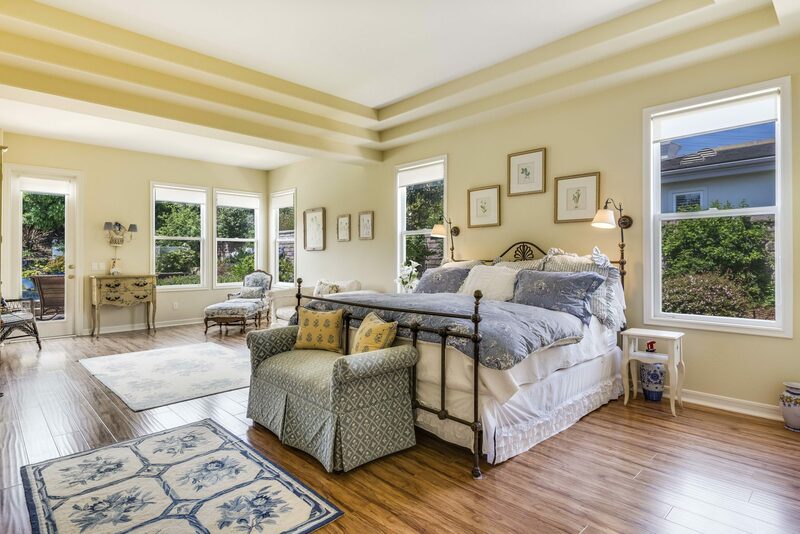 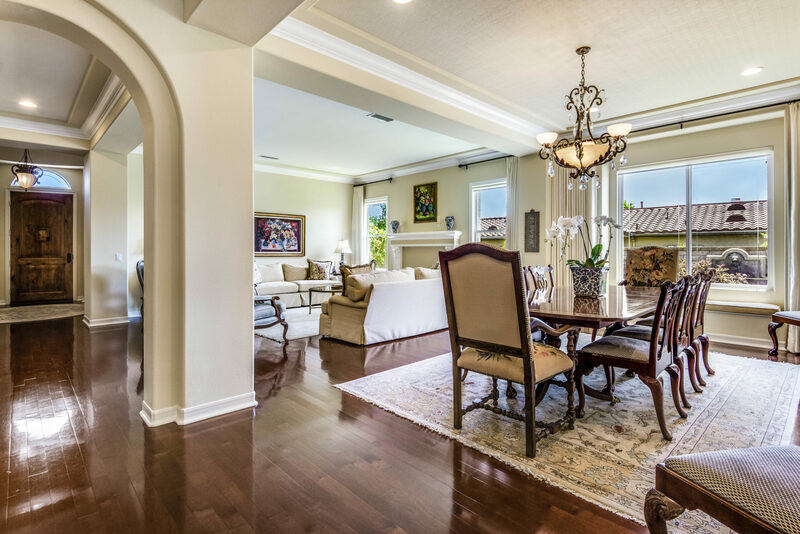 High vaulted ceilings, a custom fireplace and beautiful crown moldings lend a comfortable elegance. 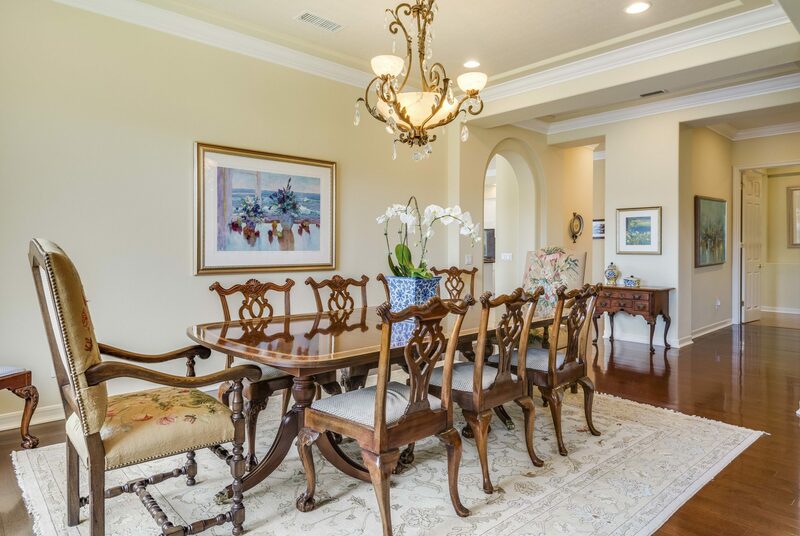 An exquisite formal dining room features an inviting window seat. 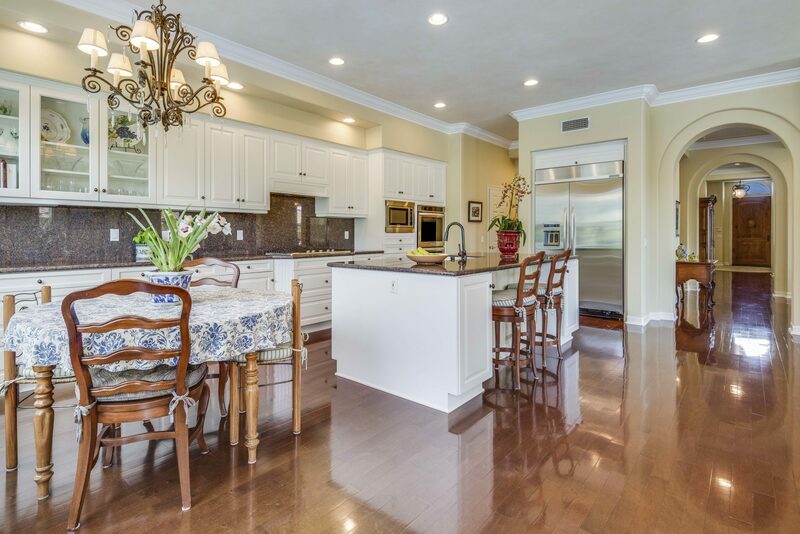 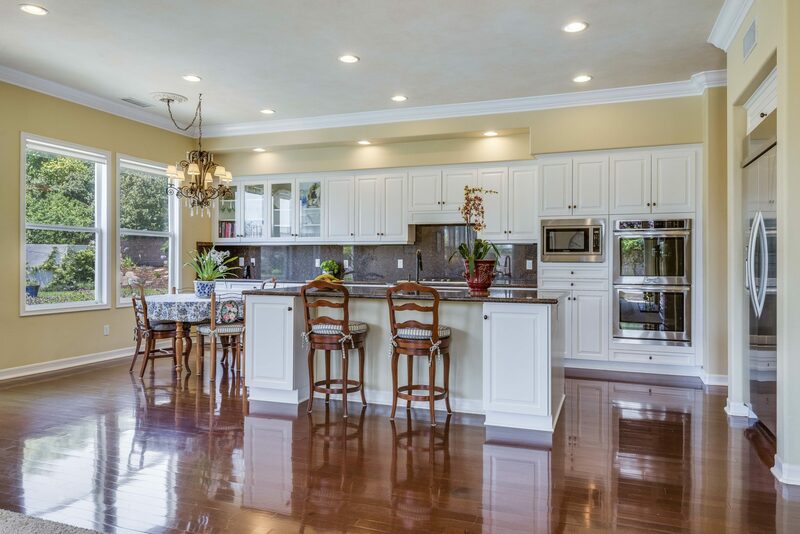 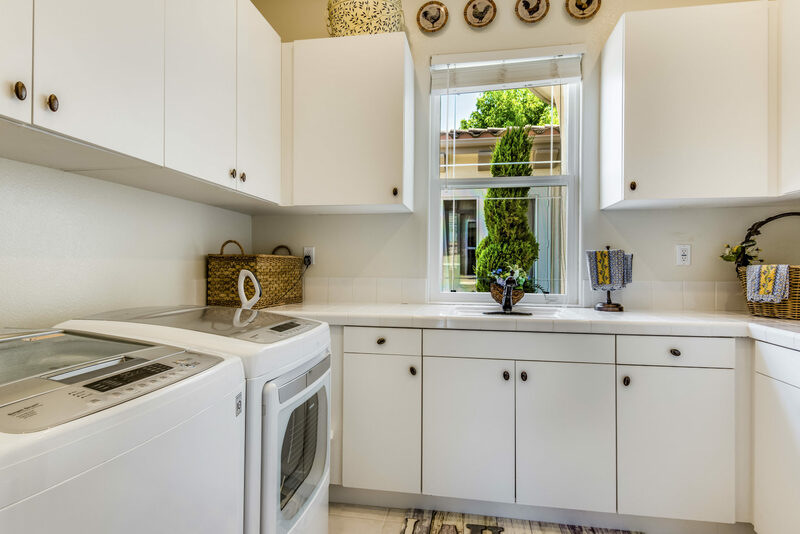 The kitchen is everything a cook could want: a spacious center island with granite counters, walk-in pantry, newer cabinetry, a butler’s pantry plus high-end appliances and even a separate breakfast nook for casual meals on the go. 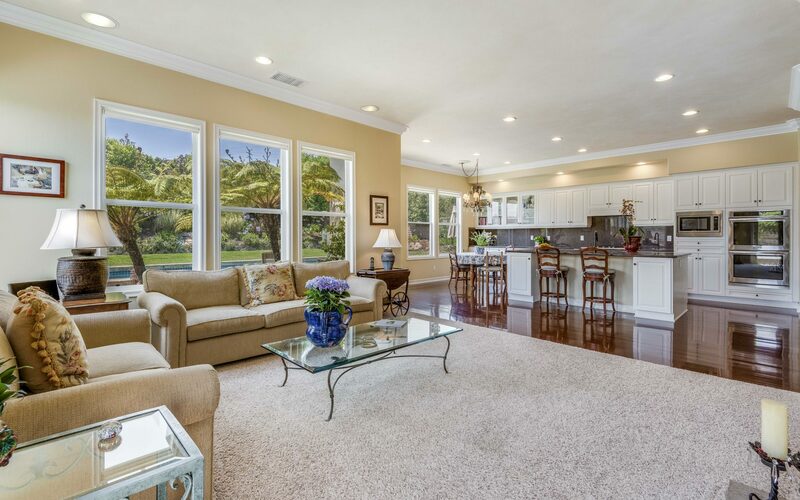 Relax in the family room cozied up to the kitchen with fireplace before leading your guests out to the ultimate entertaining patio with iridescent pool surrounded by a large grassy yard, flower beds, outdoor barbecue and stone patio – perfect for get-togethers all year around. 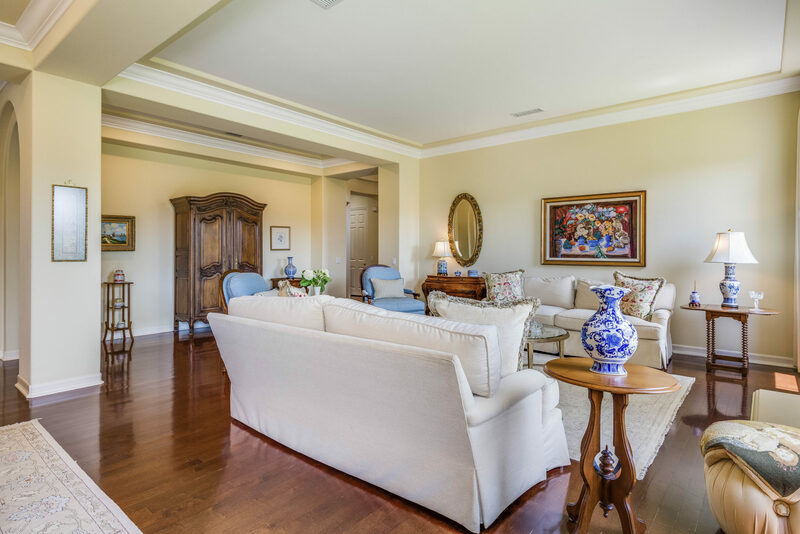 As much as guests will love this home, the private living spaces are designed to make you and yours feel like royalty. 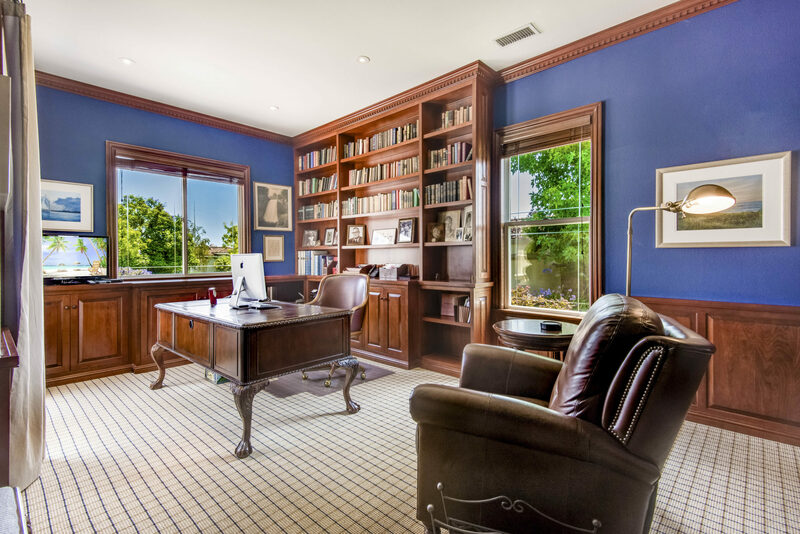 Catch up on reading or get a little work done in the spacious office/library with custom paneling, floor to ceiling cabinets, book cases and a separate French door entrance. 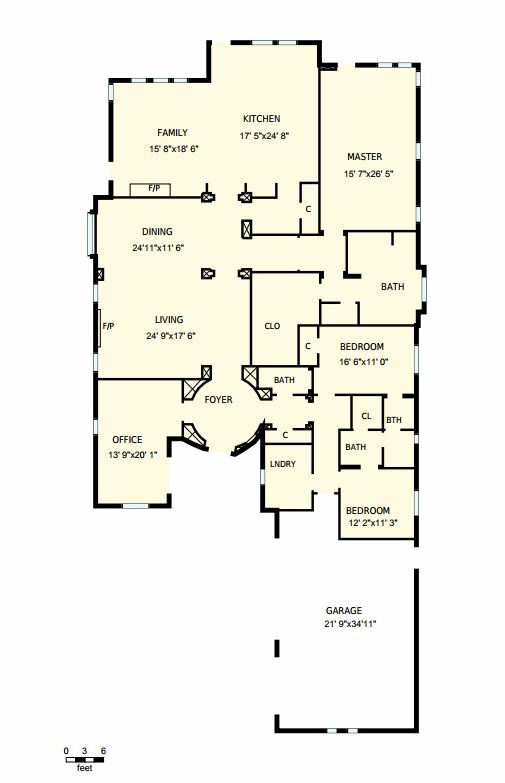 Settle into the extremely large master suite with sitting area, walk-in closet and luxurious bath. 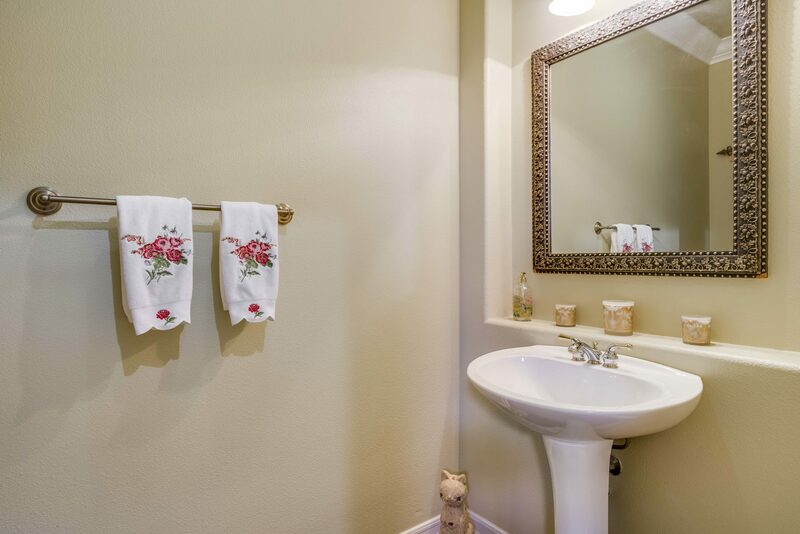 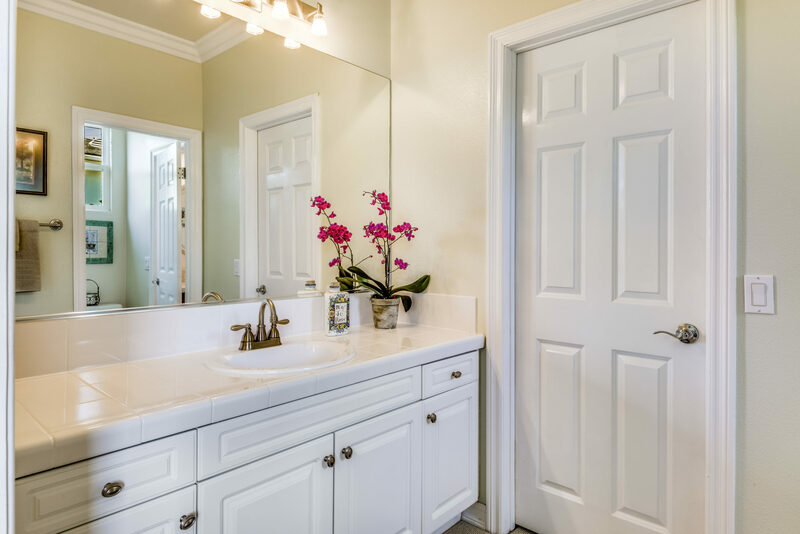 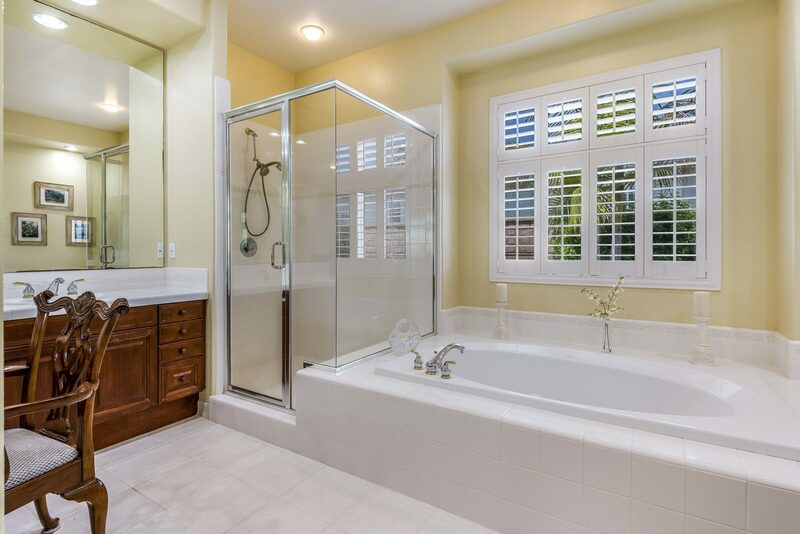 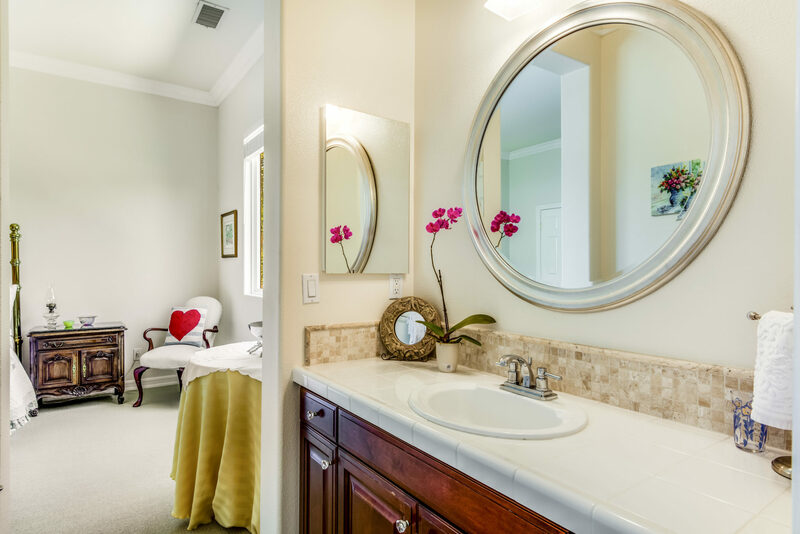 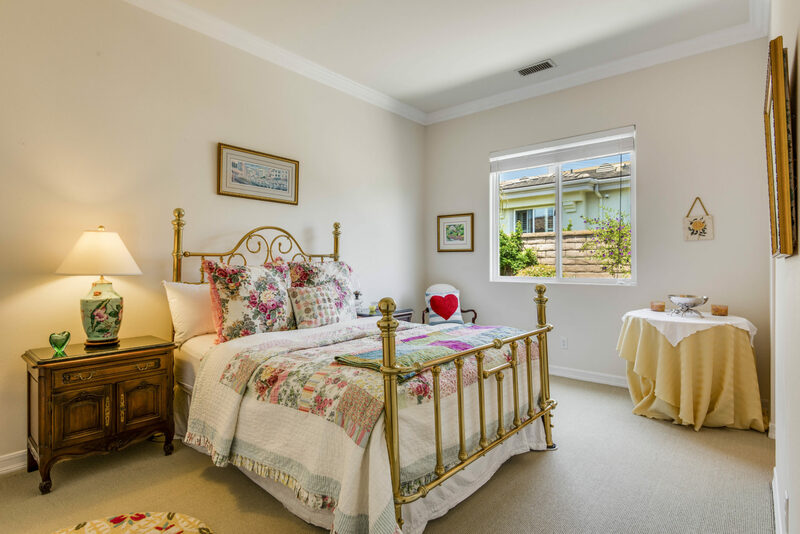 Additionally, there are two guest bedrooms with bathrooms and separate powder/vanities and spacious closets. 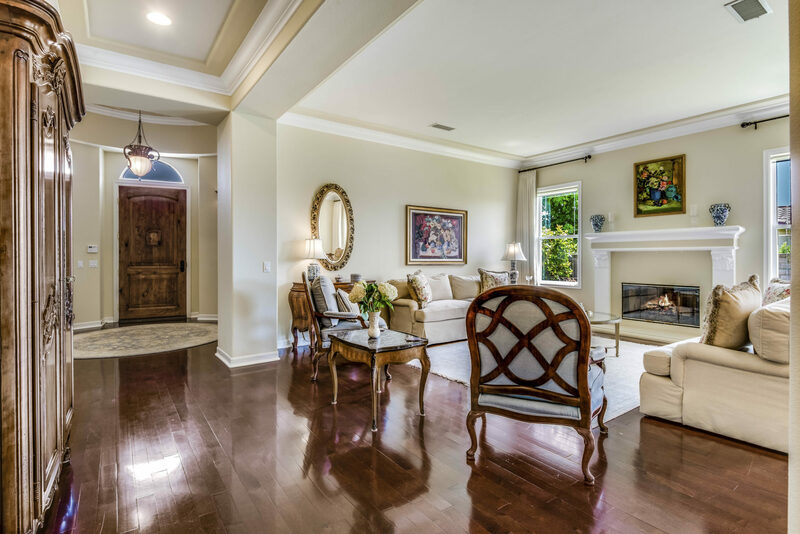 The rest of the home delights with hardwood floors, central air, indoor/outdoor sound system, alarm system and 3-car garage. 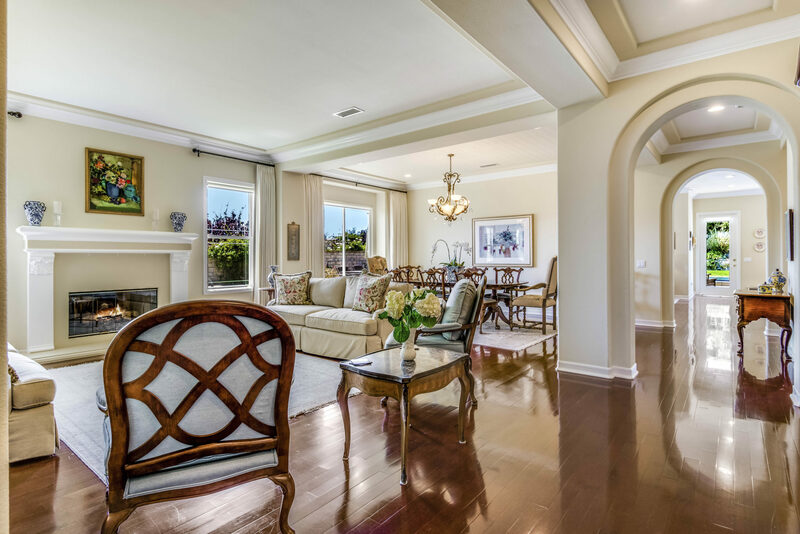 Welcome home to elegance and comfort!